If you’re planning a new kitchen design, an undermount sink is definitely something you should be considering. An undermount sink is when the sink is mounted under the countertop, as opposed to the more common traditional overmount sinks, which are inserted into a pre-cut hole in a countertop, leaving a lip overlapping the countertop. 1. Undermount sinks are often seen as a premium to homebuyers. If you’re selling your home, potential buyers are more likely to see an undermount sink as a special added value feature in the home. Designed by Nicholas Design Collaborative. Photography by Van Inwegen Digital Arts. 2. Undermount sinks can be a creative design feature. They come in a wide range of materials, colors and sizes, allowing them to become a statement piece. 3. Faucets can be conveniently placed in any location with undermount sinks. Many don’t come with pre-drilled holes like overmount sinks usually do, which allows you to place the faucet in the most convenient location. 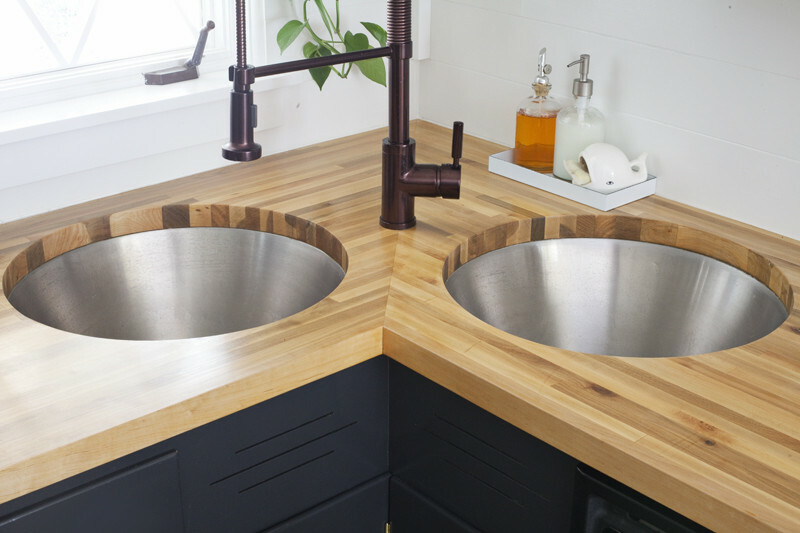 These sinks are from a Do-It-Yourself project by A Beautiful Mess. 4. 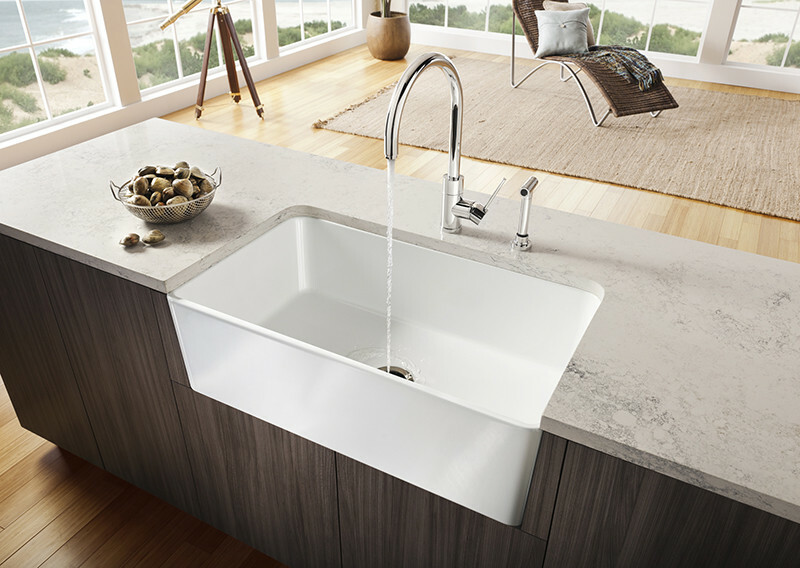 Undermount sinks are consistent with contemporary design trends, like clean lines and simplistic forms. 5. Undermount sinks provide slightly more counter space. By mounting the sink under the counter, up to half a square foot of counter space can be added to the kitchen. 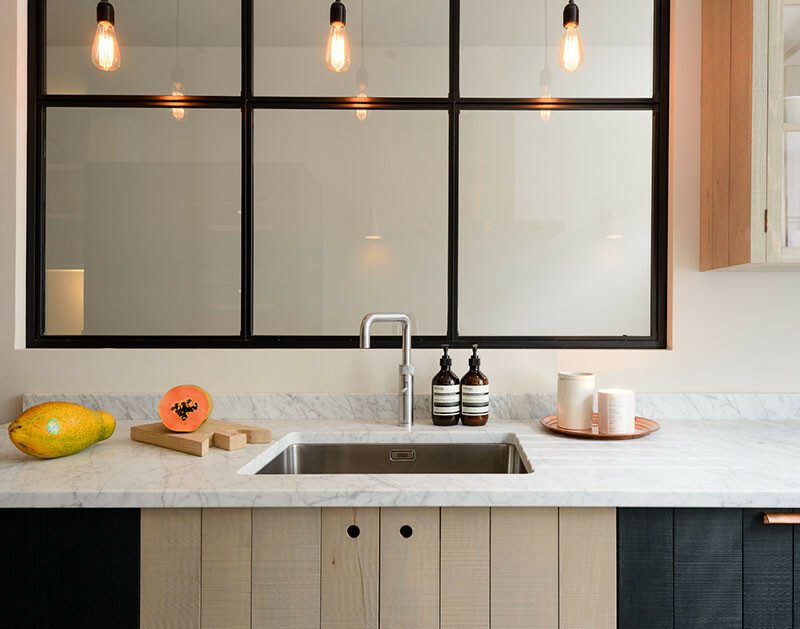 Kitchen designed by deVOL kitchens. 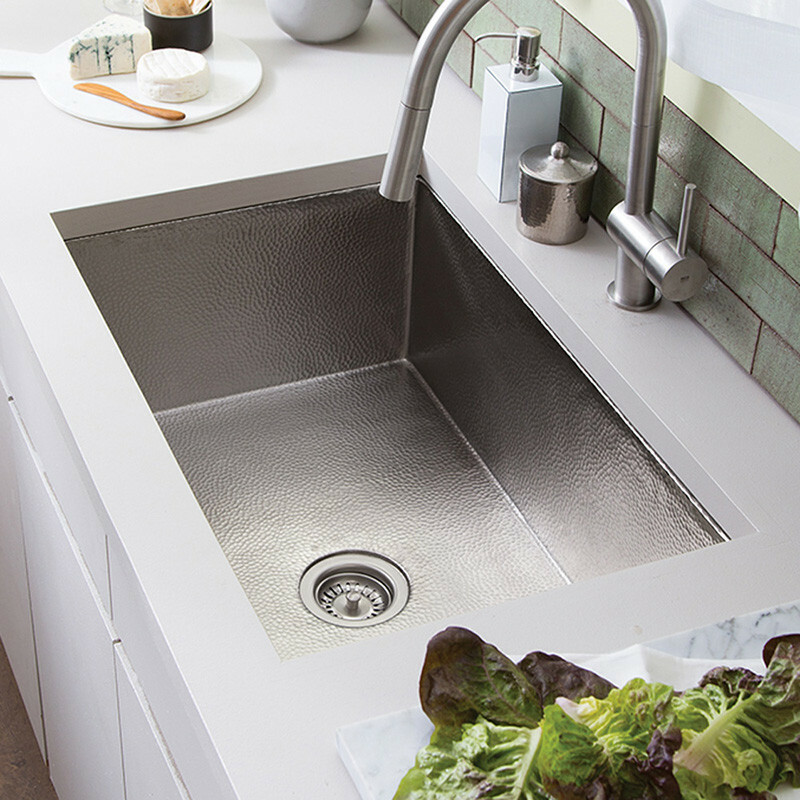 Sink by Franke. 6. 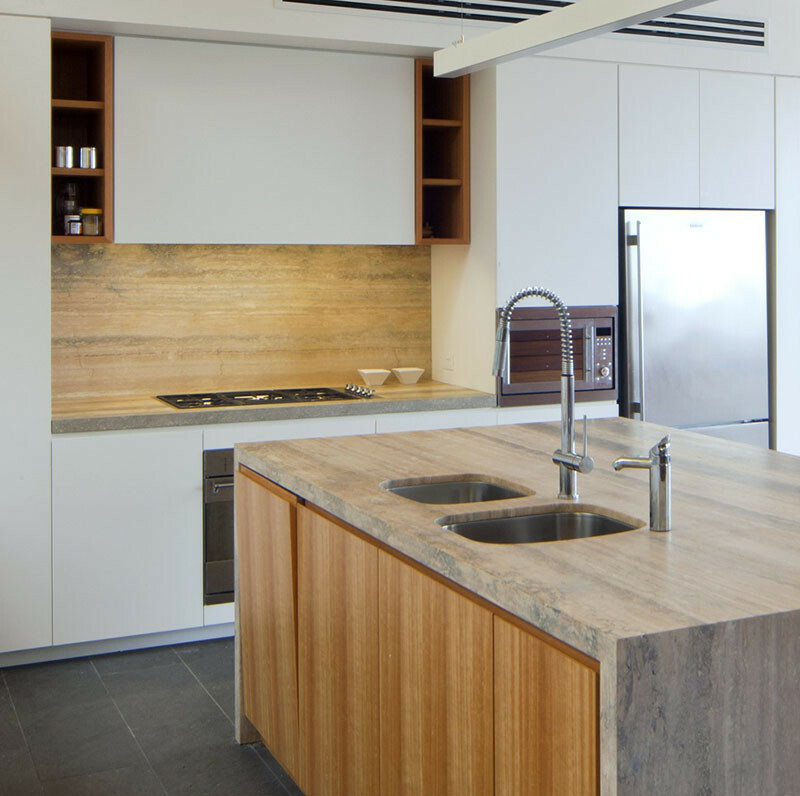 Undermount sinks allow the natural beauty of countertop to be seen. 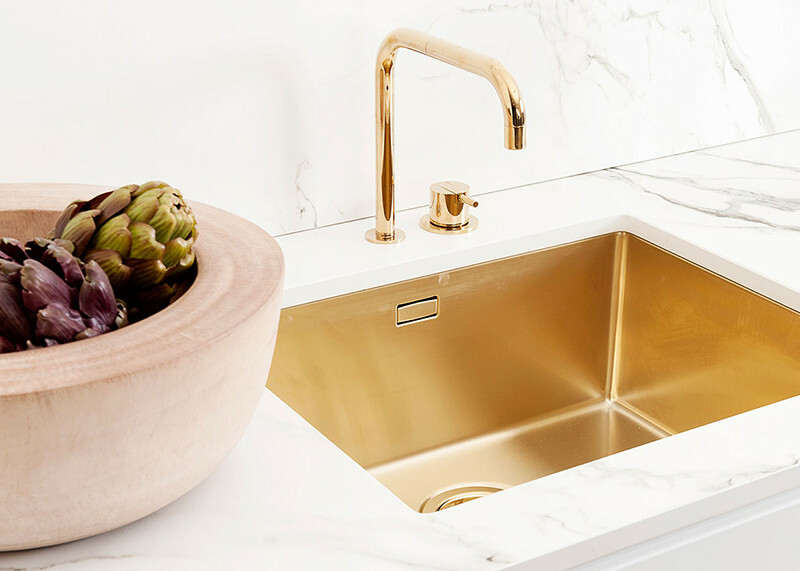 The countertop shines through without the eyesore of a sink rim. 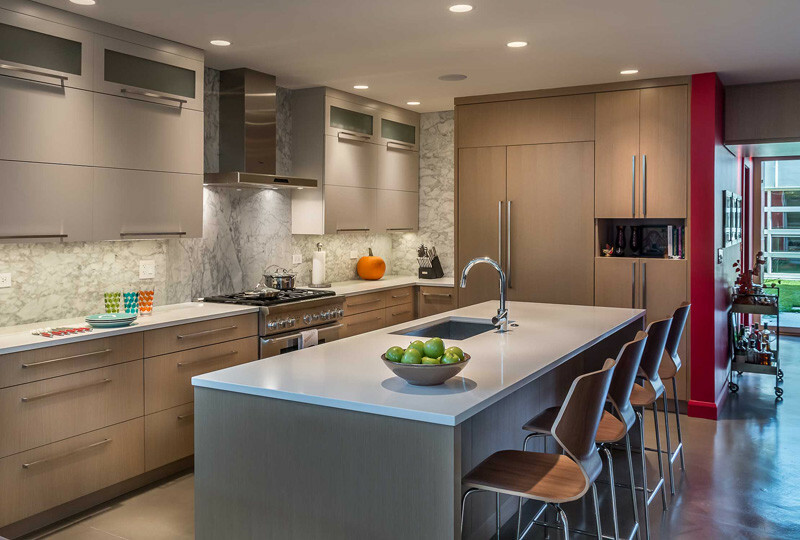 Kitchen designed by Pike Withers Interior Architecture and JLD Architects. 7. They’re available in a wide variety of materials making them perfect for any style. Their versatility makes them perfect for every kitchen regardless of the design of the room.